It seems lately I am only posting once a week. I also seem to have a tooth brush on my bathroom sink that is not mine, it is next to mine though. I suppose this is the indicator that I am in a relationship. Yes, a tooth brush, some thing we all have, a thing we use a few times a day can have so much meaning. What carries even more meaning is smile on my face and the fact that it seems to stay there. New relationships are wonderful and this one more so than others in my past because it seems we just fit so well together. Not just physically, but our personalities just seem to meld together, just as our bodies do. I find that we each seem to know what the other is thinking and feeling and pleasing each other is important to both of us. Some times it is small things that mean so much. The beautiful dress, hose, and heels worn not for a huge event but just to look nice for ones partner. It’s coffee in bed on a Saturday morning it’s having that connection with some one; deep conversations and laughter at funny moments. I suppose that most of us have showered with a new lover before, but it’s the first time I ever had to say as she stepped under the water “aren’t you taking your bra off?” Yes; we laugh together a lot. It’s the small things that make life so wonderful. I find my self this week far deeper into the rabbit hole of life’s complications that I spoke of last week. In many ways I think my thoughts of last week only foreshadowed what this week would come to be. It seems as though, for my self, I choose more often than not, the steeper mountains to climb. Much like Danali, I never seem able to choose the easy path. I choose the one where the wind blows the hardest, the cold is colder than anything you ever felt and every moment you are there at sixteen thousand you are slowly watching your life ebb away. When you choose to love and care about people who are also climbing their own personal Danali’s, you simply must accept that it’s a hard climb. One must simply sharpen the blade of one’s ice axe, check crampons again and again, coil your rope, tie in,set your aids well, and use every bit of every thing you ever learned before, if you hope to reach the summit. It can be a hard climb. One must also have faith in your belay partner and know for certain that if you fall they have you. This week I am on belay trying to make sure some one I do care deeply for does not free fall but is stopped short and is able to again climb her mountain. I suppose as I left the daily use of substance behind last April, I find my self the guide on this steep mountain they call addiction. I hope I am up for the challenge and that I can show them the route to the summit. I have the belay but each but each step of the climb is thier’s and not mine. I have done it and think if I can so can any one. I have realized in the last few days how complicated life can be. Not only can it get hectic beyond reason trying to do so many things in a day and picking up slack when the lead member of our team is out with a fracture, but we can also have complications with friends and co-workers. People are our life line in this world. Sometimes I have a tendency to say things when I am angry I later regret. I do try now to wait and think before speaking, however I have not mastered this concept fully yet. This week I let slip something that clearly defined the persons actions at that moment but not what I feel about them as a whole. I feel badly about this as it has forever changed that association. I don’t always make the best choices sometimes, with my interpersonal relationships, but I do make choices and then must deal with the results be them good or bad. i suppose this is simply the way of life for us all. As last week wore on, having found myself handling many of my employers responsibilities while he was out, I learned I am up to the task of again taking on a lead roll and excelling once again as a team leader. This last week also brought relationship complications to my life, but also great clarity and self awareness as to what it really means to love some one and maybe what real love is. One person whom I was seeing reacted badly, for a multitude of reasons, to the fact I stated that we would never have the type of relationship she wanted. My phone was blown up with an endless series of text at all hours on a week when not only was my work load at my auto restoration job on fast forward but I was also tackling a building project during the weekend. The end result of this is I simply don’t need this stress or this person in my life. On the other hand I realized also that real love is caring more for someone than maybe you do yourself and placing their needs at the fore front, not caring that doing so will add greater stress to my own life. It is also being able to say I love you to a woman and having no need to hear those words parroted back. It is as Jackson Browne said in ‘Just Say Yea ‘ “you think you see love coming, but of course you don’t”. This song contains another line so fitting to this relationship and it is ” I want to be the man that sees you never come to harm”. I know regarding her I feel this deeply. Self awareness also crept in in knowing that real love for a person is accepting them, flaws, imperfections, and all. So, it is Monday I look forward to what I hope will be a great week. Maybe Wednesday will again find me on stage playing my music for a live audience again. I hope all have love in there lives and a great week. last post. As this is a blog about change and self awareness there have been some changes and some things that I am very aware of now. First off, I have not had a post up due to health reasons. 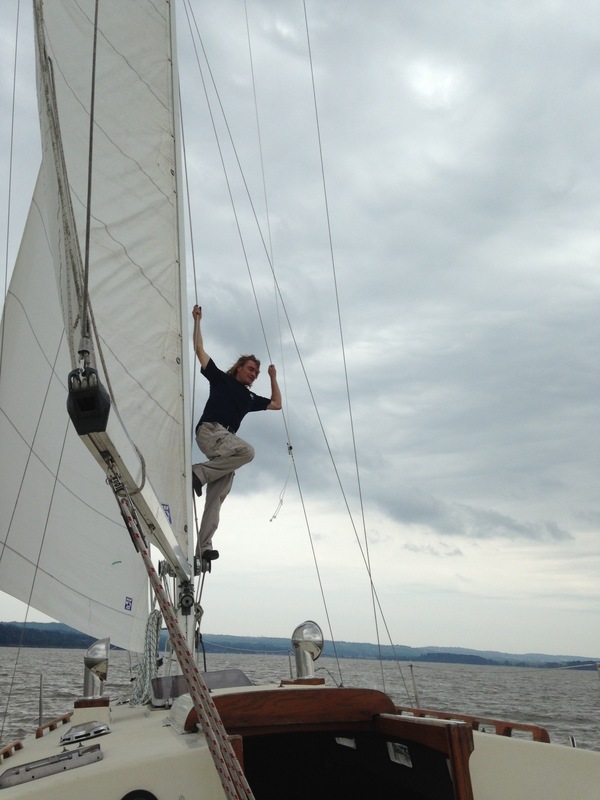 Shortly after that weekend of sailing on the Hudson and actually many weeks before I was feeling unwell and had some pain in my right side. This pain continued to get worse and gradually was accompanied by a fever. Many of you out there know that a spot was found on my right lung some time ago. I am not sure if it is equally well known my reluctance to see a doctor or go to a hospital. Many times I have done my own sutures or just toughed out a illness instead of seeking out a health care provider. Most times in the past it has been my will and focus on some thing that made it better. This time though I was just afraid to go. I did not want to hear what I thought for sure would be a cancer diagnosis. So I just kept going to work and masking the pain with drinks. I am happy to report that I do not have lung cancer and even happier that the spot they found on previous x-rays last year is gone. What was wrong with me was a Gaul Bladder infection a rather serious one for that matter. I must thank the great staff, Nurses, and my Doctors at Berkshire Medical Center and FairView Hospital for getting me over that with great care and professionalism with out going to a surgical path. A week after this; likely as what was used to crush that pesky Gaul Bladder infection, likely crushed most of the rest of my immune system; I got the Flu or some type of viral head, nose, throat thing, that became a full on bronchial and sinus infections. It has been three weeks now that this has persisted but after multiple changes in medicines I am finally feeling well again. be a good replacement for Nancy and another employee that had left. It was decided to try her out and see if she was up to the job. I can say by the end of the first day knew that she was more than we had hoped for. While having never done this specific type of work before she amazed us in her ability to learn and excel and in just just a few weeks is doing almost all of the things I can. I had hoped to get a helper what I got was a true partner who works side by side with me. We are a great team at work and have also become great friends in fact she has become like the daughter that sadly was lost before she was borne. I love that again I look forward to getting up and going in to work each morning. I love every bit of time that we spend together both at work and hanging out after together. She truly is an amazingly talented, bright, beautiful,kind,and hard working woman. I am so happy and feel truly blessed to have her in my life. I will be back next week and also back to working on my book. Till then enjoy life as much as I am. A great day on the water on a vary yar Vessel. 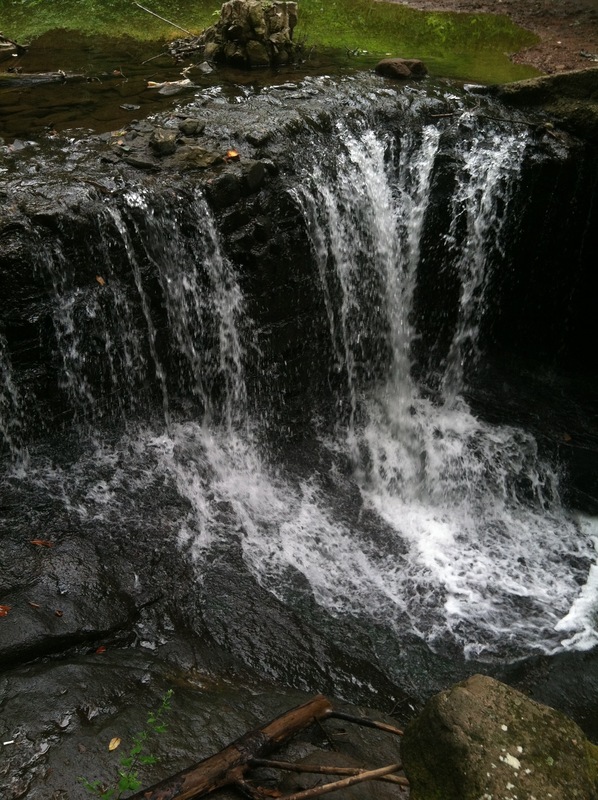 Then a woodland hike to a beautiful water fall. All in a pirates’ day. I hope your Sunday was as great as mine was. Till Wednesday be well and live life! I have played a song here or there in the last few months with various bands backing me up. Last night however I was alone on a stage with at least forty pairs of eyes looking at me wondering if I would be any good at all. I will say based on reaction applause and the fact I was asked to play again tonight in another place I was not only not bad I was actually good. Today is a good day. How I did this was by changing my life in, so many ways, embracing the possibilities and practicing till it hurt. I kept it up while still perusing this blog and getting out of gate writing my book. With effort and fortitude we can all achieve a dream. Are you reaching for your dreams or just wishing they come true? To get what you want you must do the work! I like it in the lights and the high of a room of applause is better than any drug. Are you doing the work or just wishing your dreams come true? I found myself with a few extra hours in my morning today, as my boss decided he wanted a few extra hours of sleep. I did not have the computer that i am writing my book on, so I pulled out my recently neglected guitar and polished up three songs. There is a open mike in Great Barrington tonight and I realized I am ready. I have been doing the work I play now these three songs the same way each time. I have been recently playing more and more for friends. I am finally over the fear of failing or making a mistake. I have not felt well the last few days and to spite several people wanting my company last night I simply turned off my phone and went to bed. I needed rest. I needed time to reenergize myself. I am not still one hundred percent today but maybe tonight I will go out again and play for a time again in a real venue; for strangers who will judge my lyrics style and technique. If I make a mistake I will play through it more than likely I will be the only one who knows I missed a note. I might also just rest again tonight. What do you think I should do with my day? What are you doing with yours? pinkglitzbabi on What to Do With a Day?